The 2013 Saugahatchee District Frank Horky Spring Camporee was Troop 50's first showing at a district event, and the troop didn't disappoint! The camporee, held March 15-17 at Chewacala State Park, featured Scout-skill night games Friday evening, a Saturday camporee-wide service project, and a Saturday-evening awards campfire. Friday's activities kicked off around 9 p.m. and put Scouts' ability to master various Scout skills in the dark of night to the ultimate test. The events were based on the Siege of Mafeking of the Second Boer War of 1899-1900, which was a pivitol experience for Lord Robert Baden-Powell (then Col. Baden-Powell) and inspiration for shaping what later became the Boy Scouting movement he founded. Camporee events tested patrols' ability to work as a team and troubleshoot during a variety of events that included dexterity, knot-tying, map sketching, memory, first aid, by-sight measuring, stealthiness and covertness, fire building, and star-based navigation. Events ended around 1 a.m. Saturday, and no one complained about it being bedtime! After a leisurely start (which included the now-infamous bacon-wrapped Zebra cakes of the Average Joes Patrol) and opening flag ceremony Saturday morning, Scouts from all troops attending joined together for a few hours of service to the state park. Scouts and leaders worked with park volunteers to shore up, fortify and rebuild sections of the state park's mountain bike trail. 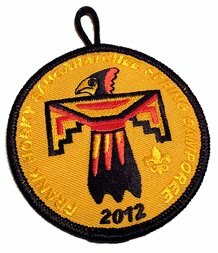 In total, the camporee resulted in nearly 150 service hours by district Scouts. Saturday's campfire brought a number of surprises for the troop, the most pleasant of those being the number of awards from Friday night's competitions garnered by the Anonymous Patrol. Their accolades included two first-place finishes in the compass course ("Navigator's Nightmare") competition and locating the North Star without a compass ("Star Light, Star Bright") as well as a third-place finish for drawing a map from memory ("Map Sketch"). Later, we found out the Average Joes Patrol had several fourth, fifth and sixth place finishes in many of the events and among the 11 individual patrols competing in the events. various competition awards they earned. The troop took a moment to observe the day of worship Sunday morning with a Scouts' Own service before departing. At its Patrol Leaders' Council meeting the following Monday, youth leaders praised the troop for its strong competitive showing, its overall ability to work as a team, and its success in how the patrols really formed and worked together as individual units during the weekend. 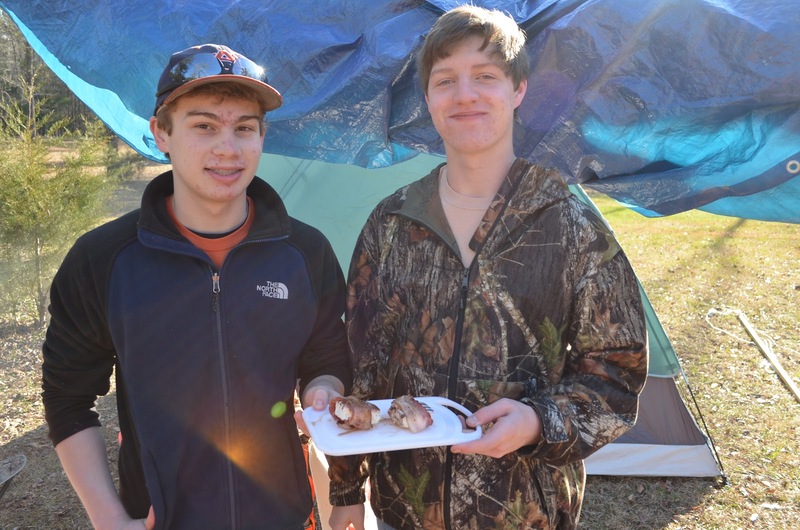 View more photos of the troop's camporee experience online in the online photo gallery.